The National Kitchen and Bath Association is known for having its finger on the pulse of homeowner buying trends. No matter your style, we are big believers in “remodel to resell” even if you are convinced you will never move again; data shows then even homeowners who have custom homes built still move (on average) within 7 years of buying the home. So it just makes sense to work on your home with resale in mind. 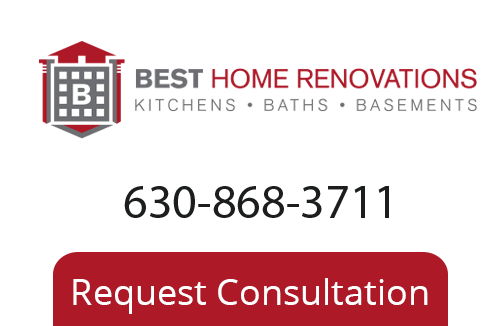 Part of that philosophy requires paying attention to trends, and while you don’t have to allow trends to dictate every decision when remodeling a kitchen or bath, understanding the trends can serve as a compass as you go through the long decision-making list on a Chicagoland remodeling project. So! The NKBA’s top trends for 2012 are…..
2. Pull-out kitchen faucets have officially become the dominant type of kitchen faucet. 3. Glass backsplashes continue to gain popularity. 4. Polished chrome is back. Yep. 5. Cherry wood cabinetry is losing popularity. A variety of other woods take its place. 6. Medicine cabinets are making a comeback. 7. Darker finishes continue to dominate cabinetry. 8. The color gray is gaining popularity in kitchens. Hmmmpf. 9. LED lighting is slowly but surely trending upward. 10. Solid surface countertops continue to have huge gains in popularity.